(1776 Channel) Peter Richards of Gulftainer’s GT USA and Port Canaveral CEO John Walsh continued today to run damage control on a recent report by Iraqi electronic newspaper Al-aalem Al-jadeed that whistleblowers from Iraq’s port authority offices in Basra, Iraq claim that Gulftainer shipped weapons to Iranian-backed terrorist militias the Badr Brigades and Asaeib Ahl al-Haq (AAH). 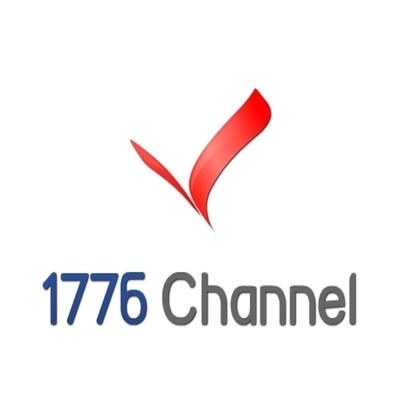 1776 Channel was the first American media organization to bring attention to the Iraqi media report. 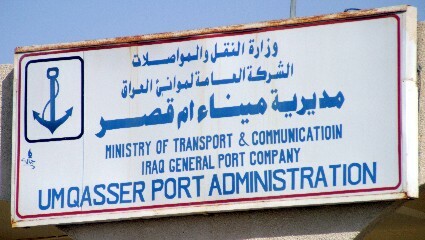 1776 Channel made contact with a former senior official from a coalition embassy in Iraq, who verified that the Iraqi report, published in Arabic, claims that Iraqi port authority whistleblowers are pointing the finger at Gulftainer Ltd.’s Umm Qasr Port container terminal operations, claiming that the company moved weapons to Shiite militias. Richards and Walsh appeared to be careful not to bring attention to the fact that the report originated in Iraqi media. Richards and Walsh also appear to have been careful not to publicly mention 1776 channel, which would direct the public over to the actual news story, which includes several links to Al-aalem Al-jadeed. By not actually mentioning the source of the story, Gulftainer and Port Canaveral officials are likely trying to steer the narrative and scare the public away from reading about the story. Walsh has instead chosen to lower himself and the Canaveral Port Authority to hurling insults at members of the Florida community surrounding the port and other citizens across the nation who have done nothing more than express security concerns about Gulftainer. Walsh labeled activists in his own Florida community who are attempting to bring attention to 1776 Channel’s coverage of the Iraqi report as “racists” who are engaging in “profiling”. Is Walsh basically calling the whistleblowers in Iraq who reportedly made the allegations racists? 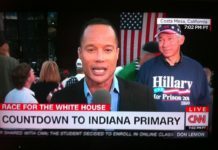 That is where the report originated. The whistleblowers could have been Sunni port officials fearful that Shiite militias will use the weapons against Sunni civilians, or who afraid that parts of Iraq may fall to Iran. That is not clear at this time. Would such whistleblowing by Sunni port officials against Gulftainer and Shiite militias be considered “racist” by Walsh? 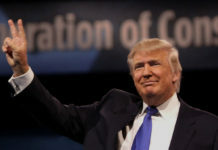 Would it be “racist”, using CEO Walsh’s free speech yardstick, for the family of a U.S. soldier, Marine, airman or sailor killed by the Badr Brigades during Operation Iraqi Freedom to ask if Gulftainer later shipped weapons to that organization? “Racist” is an easy term to throw around. The Obama administration has used it often to quell criticism of it’s abuses of power. Is Richards referring to the report in Al-aalem Al-jadeed as “garbage”? Is Richards referring to claims reportedly made by Iraqi port officials in Basra as “garbage”? The strategy of Gulftainer, which Florida-based public relations firm Wragg & Casas Strategic Communications, as well as Port Canaveral officials, appears to be to attack the American messengers while keeping the public and local media outlets too distracted to focus on the original reports from Iraq. Wragg & Casas Strategic Communications cannot simply delete the article published in February by Al-aalem Al-jadeed. That train has already left the station. 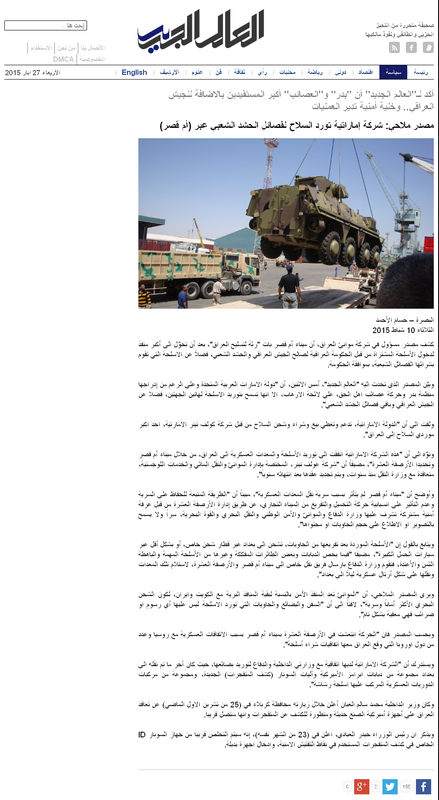 Screenshot of story about Iraq’s Umm Qasr Port published by al-aalem.com.